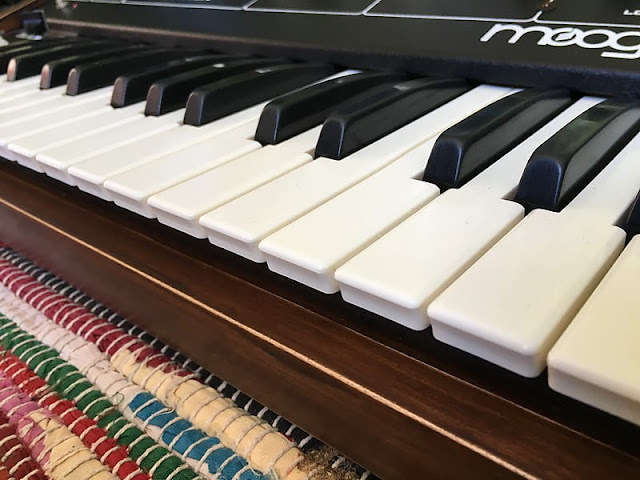 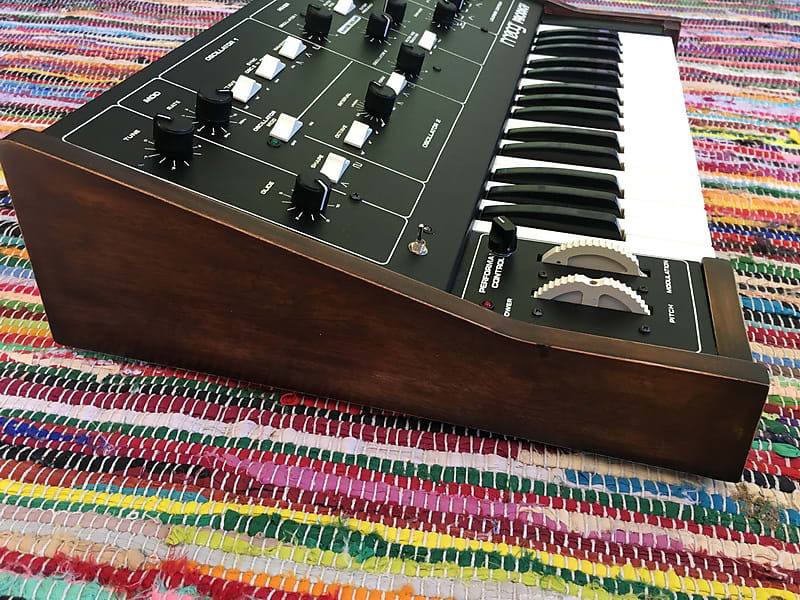 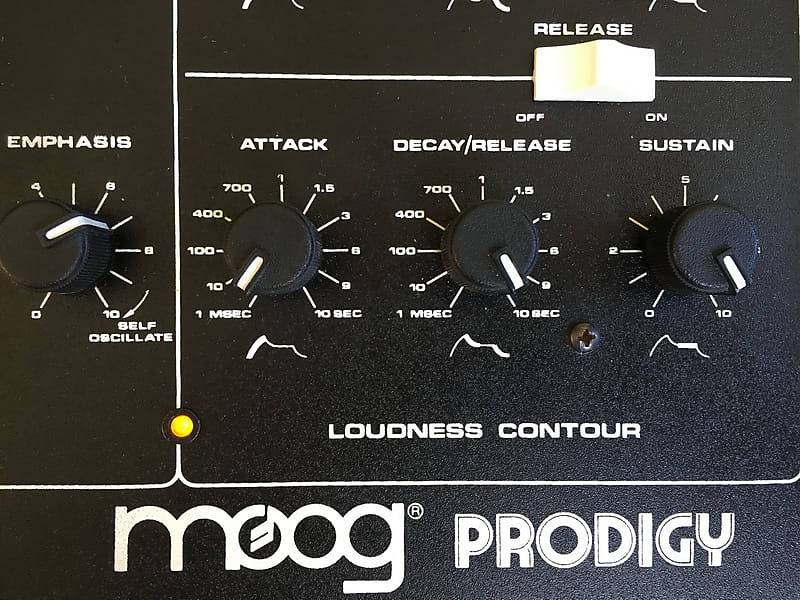 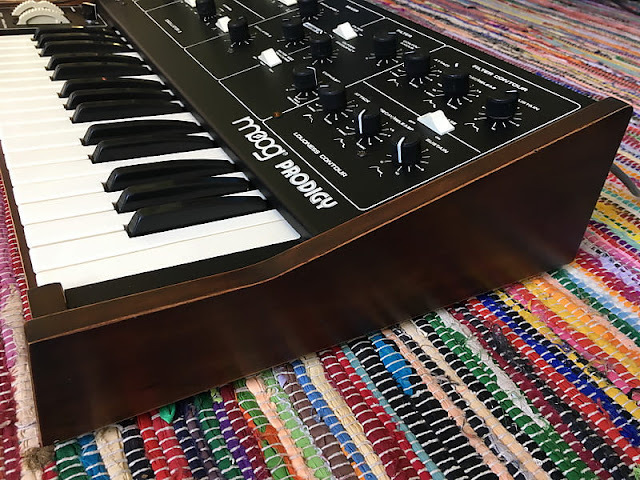 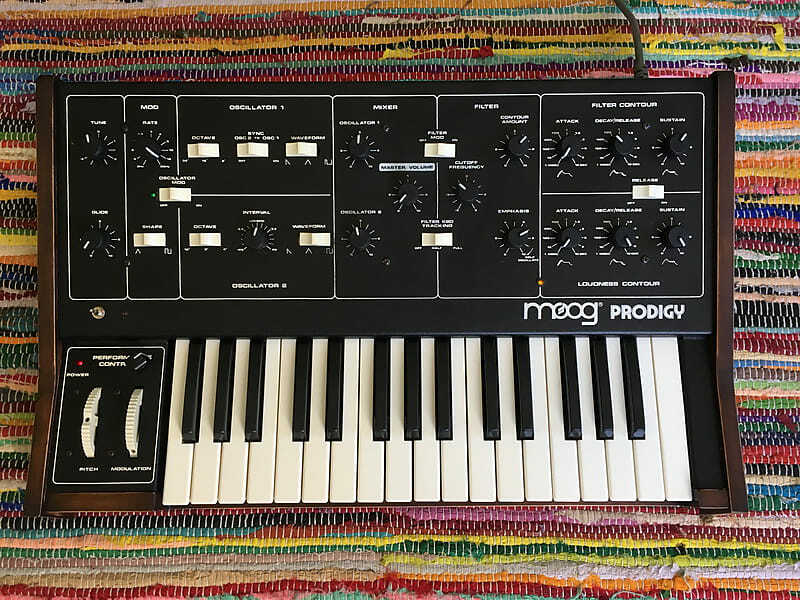 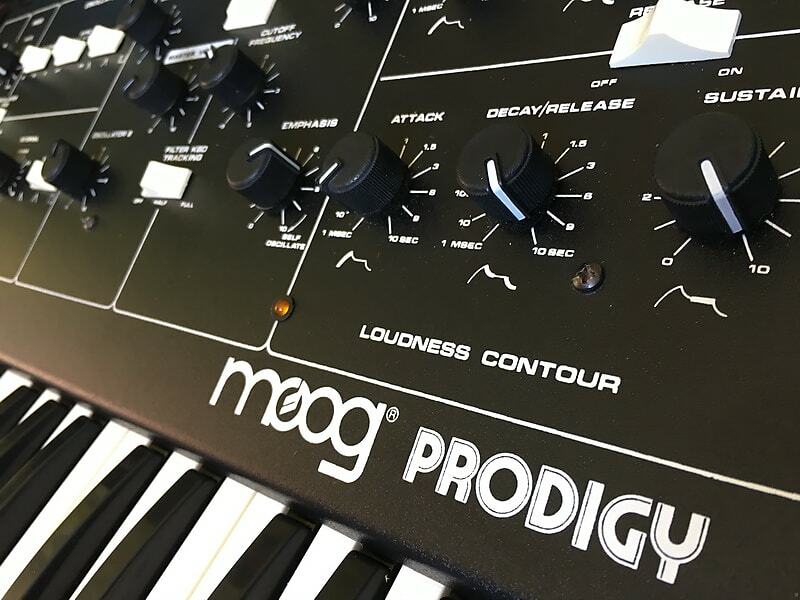 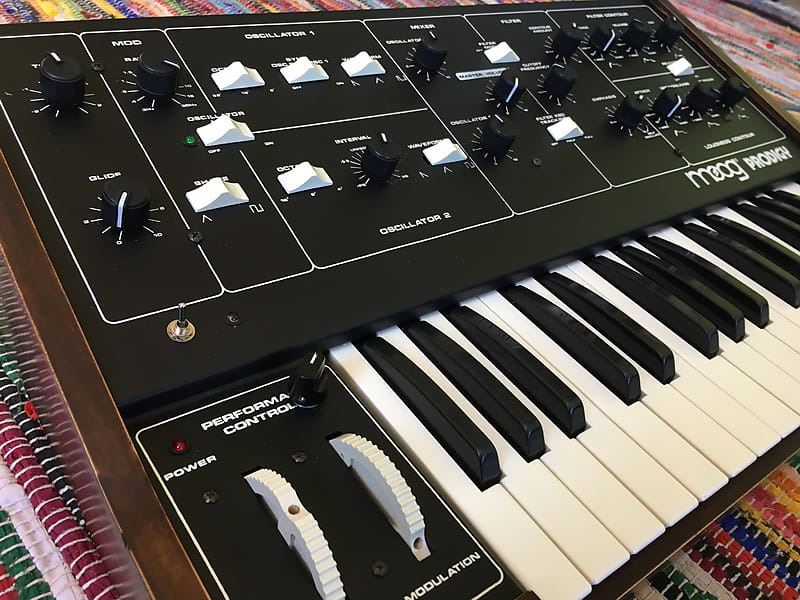 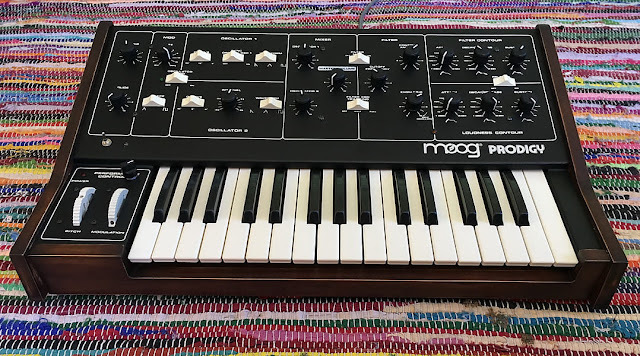 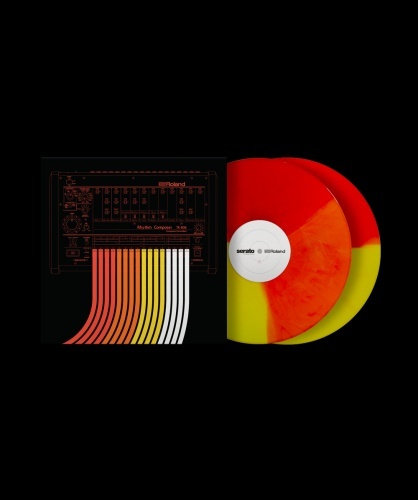 "This is a serviced and calibrated Moog Prodigy MK2 with added MIDI and mods. 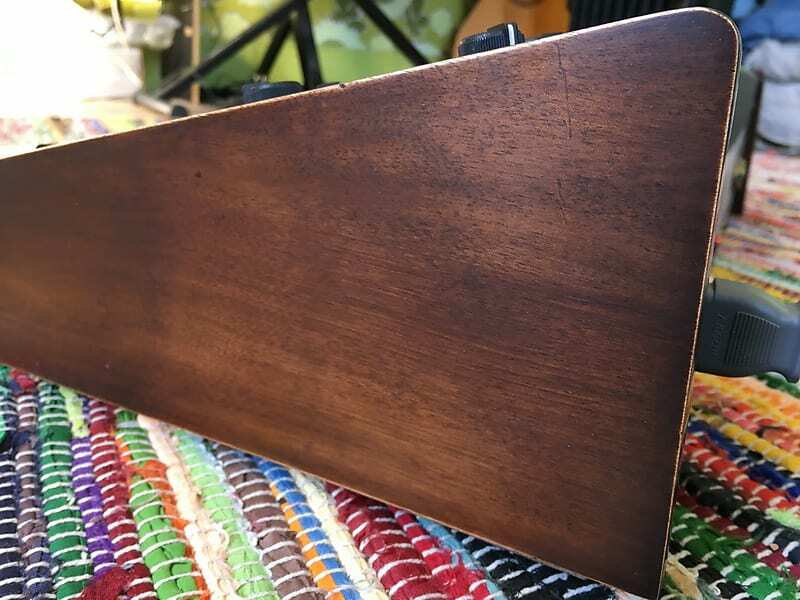 Cosmetically it is in a very good condition. 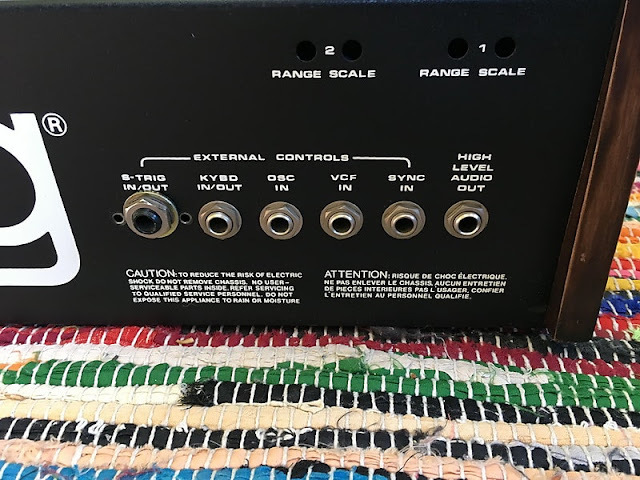 Some of the lettering is a bit faded and there are some minor scratches but overall in very nice condition. Even the wood side have a nice vintage tone. 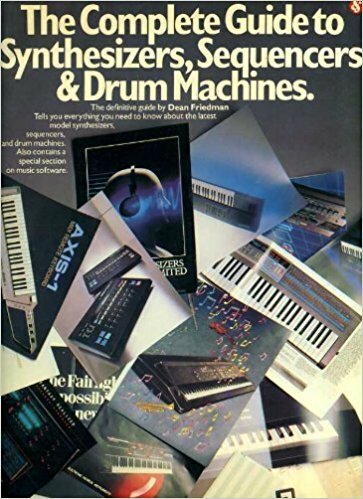 It comes with it original manual. 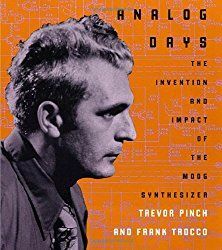 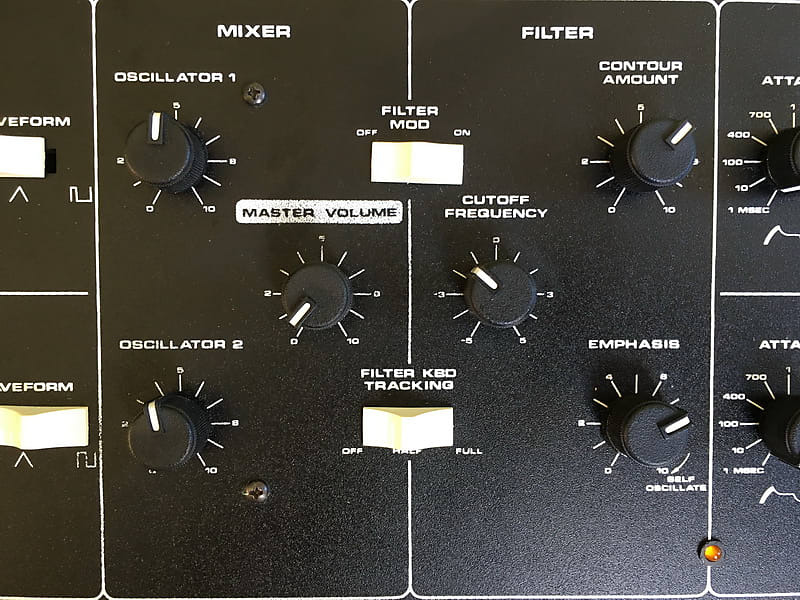 - Pitch can be modulated by filter enveloppe. 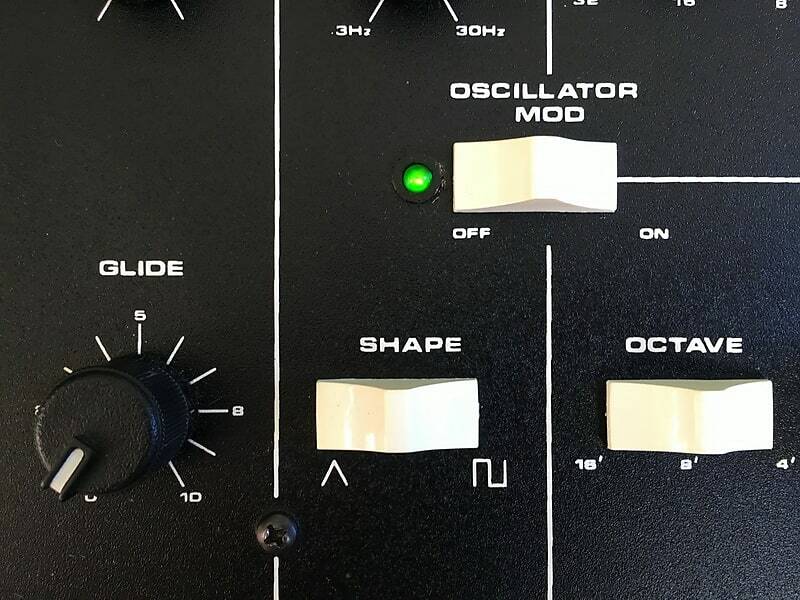 Depth of the effect is controlled by a new dedicated pot in the modwheel section. - there is a switch and led indicator to alternate between pitch bend control of the pitch or filter enveloppe control of the pitch (you can't get both at the same time). 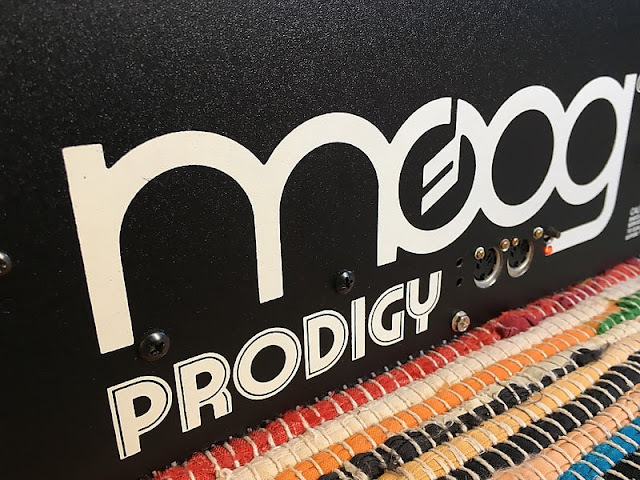 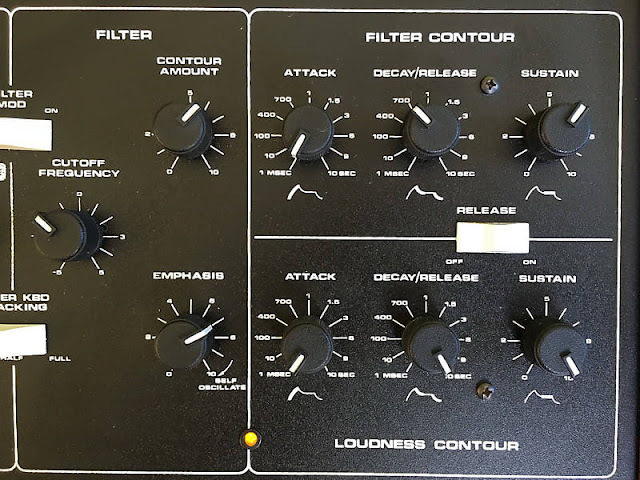 Last and not least the prodigy is enhanced with a Midi to CV interface, the Doepfer MCV4. 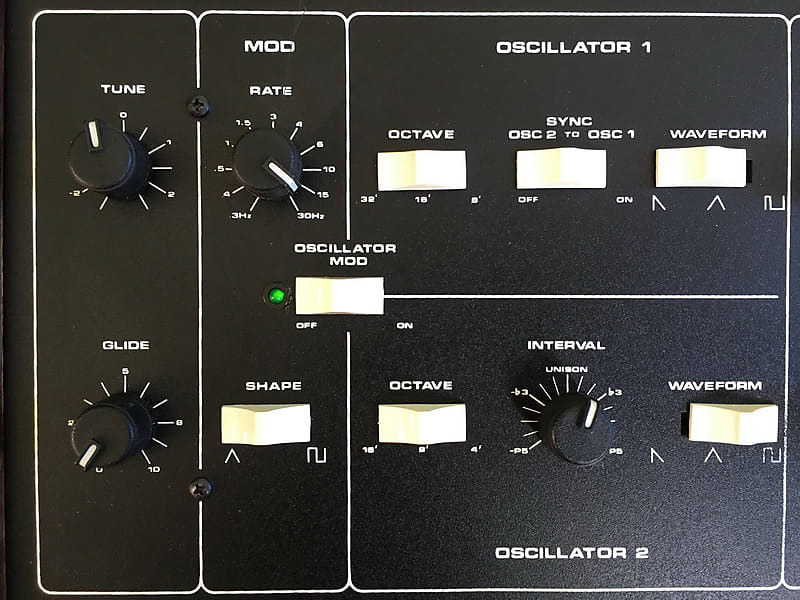 This unit enables control of 4 CVs over MIDI. 3 CVs are currently used so there is one left if you feel the need to further modify the synth. My unit has aftertouch control of the filter as long as velocity and modwheel control of the filter. 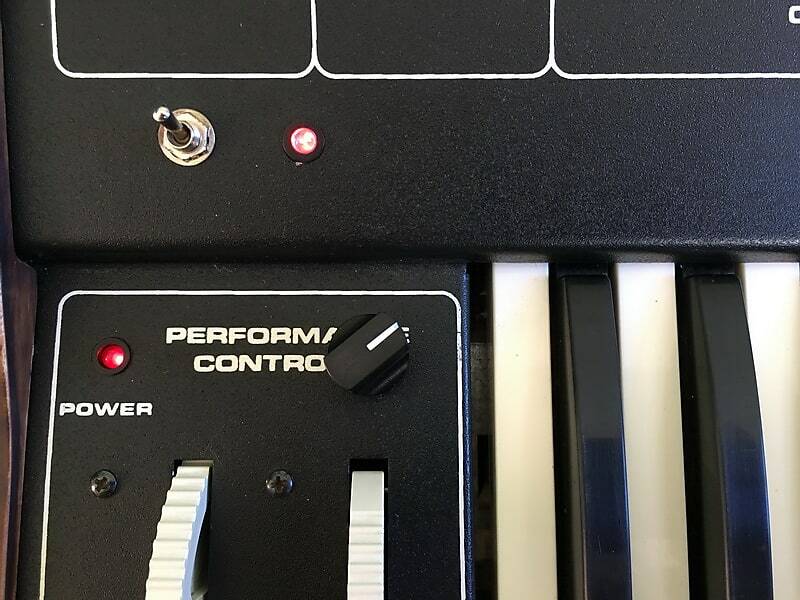 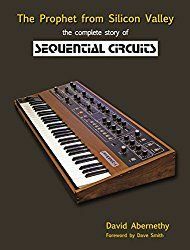 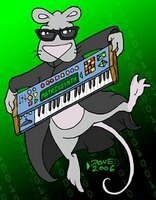 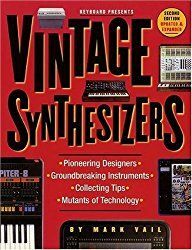 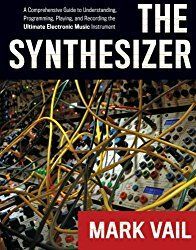 One nice feature over midi is also the ability to transpose a running sequence from the synth keyboard."